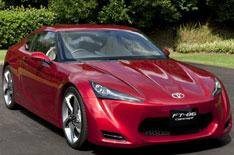 Exclusive preview of Toyota FT-86 | What Car? Toyota's FT-86 II concept car wowed when it was unveiled earlier this year, and now the wraps are about to be taken off the production car. The car will make its official debut at the Tokyo motor show later this month, but we're giving What Car? readers the chance to see it at a private viewing in the Midlands.